Since the “Help America Vote Act” in 2002, tallying votes in our elections has become dependent on machines that sometimes leave no paper trail. Manufacturers have “proprietary” programs and will not let any public officials or independent experts examine them. 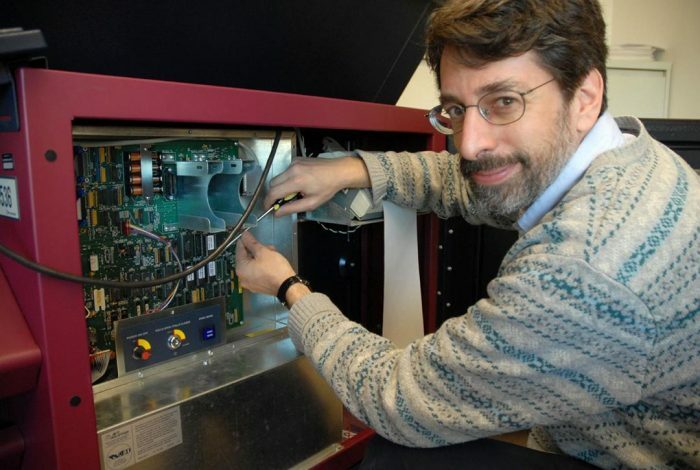 On a cold winter day in 2007, Andrew Appel, a Princeton computer professor and election specialist, changed the outcome on one of these machines in seven minutes. He proved something that should alarm everyone: in effect, it took seven minutes per machine to steal an election. Machines were initially adopted for vote counting over a century ago,because they promised speed and convenience. They can tally results more quickly than a more reliable and re-checkable hand count. From the beginning, there were ways to corrupt non-computerized machines, Appel said. One such ploy was the “pencil shaving trick.” Putting shavings on the lever of an opposition party would choke off counting ballots until the shavings came loose and fell free. While this left a tell-tale discrepancy between the counted results and the number of voters who signed in at that polling place to vote, the scam worked if no one checked. You might think the advent of computerized voting machines, starting around 2002, would have made it harder to corrupt vote counting. In fact, even the latest generation of such machines are much easier to hack without leaving a trace. These machines are big money-makers for private corporations, which lobbied legislators about their supposed advantages. But they also pose a serious threat to the integrity of our elections. 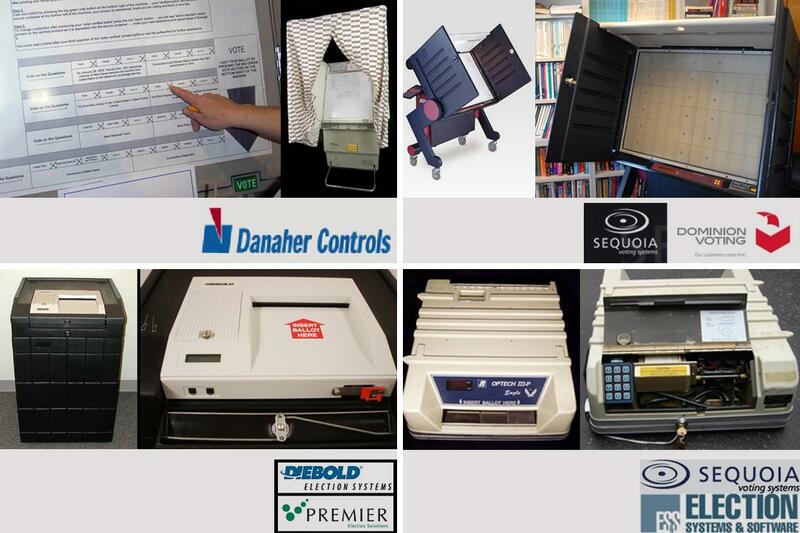 DRE Direct-Recording Electronic or “touchscreen” voting machines that leave no paper trail will be mainly used by voters in 14 states, according to the Brennan Center,. Those states include Georgia, and Pennsylvania — which are in play this year. Even large regions of Ohio, Virginia, North Carolina and many other states still use them. Among the brand names are Shouptronic, AVC Advantage, AccuVote OS, Optech-III Eagle. Most of these machines are over 10 years old, and the local authorities have no manuals for maintenance and repair. Claiming a lack of funds, state legislatures have refused to replace them. In 14 states, either computer error or Appel-like reprogramming could distort results. Without a paper trail, the only way to check the tally is through “initial” exit polling conducted throughout the full span of voting hours and ending when the polls close. Touchscreen machines were widely used in Ohio in the 2004 Kerry-Bush election, the only one of 154 American contests that year in which initial exit polling, which is ordinarily reliable, was markedly out of sync with the officially announced total. Those who know about computers have long been skeptical of this result. But if computer experts can hack every variety of touchscreen machine, what about foreign governments or domestic organizations? In late July and early August, columns by Hiawatha Bray in the Boston Globe, and Zeynep Tufekci of The New York Times questioned for the first time whether voting in American elections is secure from such hacking — with suspicion directed, though without evidence, primarily at Russia. Suddenly, the disorganization and lack of transparency of American vote counting had become a National Security Issue. Weighing in on the issue, President Barack Obama pointed out that most American elections are local or state, done under diverse procedures and laws, and involving a large number of voters. Even if particular computers, or a system of computers connected to the Internet, could be hacked from the outside, it would be hard for a foreign or domestic outlaw to falsify the results of a national election. In addition, voter registration lists are centralized and kept on the Internet. During the Arizona and New York primaries, many Democrats, often younger ones, reported that their registration was changed without their knowledge. They were listed as a Republican or Independent or with no year of registration indicated; as a result, they couldn’t vote in their party’s primary. This turned out to have been done by election officials “by accident,” and perhaps also by hackers via Internet access. “When we elect our government officials, sometimes we are voting for or against the very person or political party who is in office right now, running that very election! How can we trust that this person is running the election fairly? The answer is, we organize our elections so we don’t have to trust any single person or party. But there are two problems here. So-called bipartisanship means that third parties, such as the Green Party and the Libertarian Party, are by definition excluded. In addition, many aspects of the process end up in the hands of a single individual. Chief Clerk of Elections Diane Haslett-Rudiano arbitrarily stripped 123,000 people from the Brooklyn voter rolls in this year’s New York Democratic primary. She was later fired by the Board of Elections — after the.election was over. But Appel is even more worried about a systemic weak point in the electoral process. The only sure way to run a fair election, Appel says, is to use and keep paper ballots. In 2009, Germany adopted a system in which an initial exit poll is announced immediately after voting closes — this determines a range of plausible results within a margin of error — and then paper ballots are counted by hand. They have, since that time, had no major controversies about electoral fairness. Appel testified that newer, optical screen voting machines can be equally secure if paper ballots are kept and checked. Premier Optical Scan with Automark is used, in parts of California, Colorado, and since 2008, under Secretary of State Jennifer Brunner, in parts of Ohio. Often, these involve entering your vote, and leaving a record, which you see in the machine, on a paper tape, of how your ballot was cast. Separating paper ballots physically from a computerized tape and keeping them in a different location, many computer experts believe, would provide further insurance against hacking even on optical scan machines. So the most important thing, as in Germany, is to get each election right in the first place. Why, we might ask, have officials sold public elections and the equal right to vote — again, the most important public feature of our democracy — to private, profit-making corporations? Once again, these corporations, claiming their programs are “proprietary” secrets, do not allow any independent check of how they operate. *Immediately conduct a random recount of part of the paper ballots. *If there is an error, do a full recount. Appel and nine other experts, including Lawrence Norden from the Democracy Program of the Brennan Center at the New York University Law School and John McCarthy of the Verified Voting Foundation, offered 10 suggestions for securing existing machines and registration lists. For instance, they underline that “without voter-verified paper ballots, effective audits are impossible; they recommend checking samples from the voting system with hand counts of matched sets of paper ballots, recruiting technical experts to help with such tests, and publicizing the results, before certification of the election. They also recommend a new, detailed ballot accounting by each polling center and reconciliation with the number of those who signed in to vote there. Still, to put these procedures into practice would probably require sustained pressure from the voting public. Moreover, anyone familiar with vote counting in precincts across the country knows that many computer checking and security measures these experts recommend are far too sophisticated for most poll-watchers to implement before the November 8 election. Further, all Secretaries of State, who are often unabashed political partisans, would have to have good intentions — an assumption hard to reconcile with the actions of Kenneth Blackwell in Ohio in 2004 or Katherine Harris in Florida in 2000. In contrast, consider the record of Dana Debeauvoir, election clerk in Travis County which includes the University of Texas (Austin). She has worked with critics and computer experts, to propose a new type of encryption plus a paper record (it will not be ready, unfortunately, until the 2020 election). A federal law requiring oversight of elections by politically independent or neutral state officials would vastly improve the security of the American electoral process. But Appel is not optimistic about the prospect of Congressionally mandated reforms. For the upcoming election, some of the recommended measures will be in place in some jurisdictions across the country. After this election, however, with a strong democratic push from below, it might be possible to outlaw the highly insecure DREs (touch-screen machines), provide adequate funding as well as training for election officials nationwide, and ensure an independent paper trail on optical scan machines. In fact, it might even be possible to go to a paper ballot backed up by an initial exit poll. In contrast to this November 8 — when, at best, only the large scale of the election makes likely a trustworthy result — such reforms would ensure that our elections are, both in appearance and in reality, fair.